Craft Manufactured for YOU in Portland, Oregon, USA! Crag Law is our local environmental non profit law firm. They've helped climbers and skiers (and boaters and farmers and ...) throughout the Pacific North West and Alaska. We thought it would be great to give back to a group that's given our users so much. So buy a tote in April, and support them! 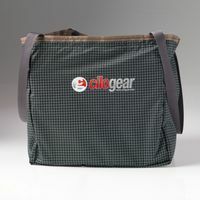 CiloGear is not currently selling our packs through our website. Our retailers are still selling packs, and we suggest you contact them directly to get you what you need. "You don’t truly understand the meaning of “bomber” until you’ve used one of these." 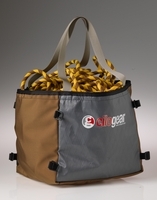 CiloGear is one of America's Best Companies Manufacturing Outdoor Gear! Yep, we won a Sassy Award! "I’d have to say the 45L Worksack is the nicest carrying pack I’ve ever used." From Kyle Dempster to David Gottlieb, Aaron Mulkey, Jewell Lund and even rock climbers like Nik Berry (and many contractually obligated quiet users), many of the best alpinists and climbers in the world use our packs on the most demanding routes in the most rugged conditions. 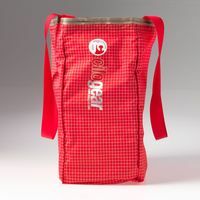 They tell us that we make the best alpine climbing packs in the world. Curious? 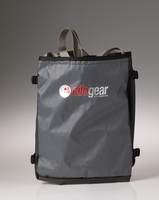 Check out our Cilogear Propaganda videos for more information. Curious to know more about CiloGear? Watch some more Cilogear movies! We've got ice climbing, and we've got seam grip. What more could you want?